Owing to its structural dominance in South Asia and resultant policies in the region, India has been a natural target of resentment and suspicion and has borne the brunt of varying degrees of anti-India sentiments across its neighboring nations. Hostility towards India’s foreign policy was especially prominent during the Indira Gandhi administration era in the 1970s. At that time, India was criticized for projecting a policy of anti-colonialism and non-alignment in the Cold War while simultaneously trying to establish its own dominance in South Asia. India’s strategic choices in South Asia have prompted it to interfere in the domestic affairs of some of its neighbors. Beginning in 1987, India engaged in a three-year-long intervention in Sri Lanka. In 1988, India was the only nation to offer military support to the then President of Maldives, Abdul Gayoom, to quell a coup attempt. Two years ago, India was alleged to have attempted to topple the then incumbent government of Nepal. This “big brotherly” attitude has been widely viewed within South Asia as an interventionist posture, fanning anti-India sentiment. India has become a part of domestic politics of most of its neighboring states where anti-India sentiment is often used to bolster the nationalist credentials of various political formations. Importantly, such sentiments have been leveraged by Jihadist groups — especially those operating in Pakistan and Bangladesh — to shore up support for themselves. Anti-India sentiments — a function of the protracted Indo-Pakistan conflict — have significantly shaped Pakistan’s domestic and foreign policies. As Haqqani notes, within Pakistan’s civilian and military establishment, India has been constructed as a perennial enemy, a narrative that continues to be woven into domestic politics as well. In fact, studies have shown that Pakistani voters often penalize their governments for advocating friendly policies toward India. Such hostility has been leveraged by various militant and terrorist groups in Pakistan to conduct attacks against India. For instance, Lashkar e-Taiba (now Jamaat ud-daawah) and the Jaish e-Mohammed, which had participated in the Afghan Jihad during the Soviet occupation (1979-1989), later returned to Pakistan, from where they then targeted India, launching attacks in Kashmir as a means of ensuring their continuity. Hafiz Saeed, the founder of the Lashkar-e-Taiba (now Jamaat ud-Daawa), has maintained that if the Indian government were to deprive Kashmiris of freedom, then LeT would be forced to pursue the conquest of India. In June 2017, LeT released statements referring to India as a “cancer to humanity” and a “human rights violator.” Similarly, the terrorist group Jaish e-Mohammed has held rallies where it advocated attacks against India. As recently as March 2018, the group declared that it would march to New Delhi, killing as many Indians as it could along the way. India’s treatment of the country’s Muslim minority has also helped shape terrorist recruitment in Pakistan. The deterioration of the current Indian government’s treatment of minorities (including, but not limited to Muslims) in recent years has reenergized certain radical elements in Bangladesh and Pakistan, providing them fodder for spewing anti-India rhetoric. The perpetrators of the 1993 terrorist attack in Mumbai, for example, justified their heinous act partly as retribution for the destruction of the Babri Masjid a year earlier. Similarly, the Islamic State has highlighted extremist Hindutva actions, including the lynching of Muslims suspected of eating beef, as reasons to attack Indian targets. Thus, Pakistani terrorist outfits and extremist groups have routinely justified attacks against Indian targets as responses to India’s “unjust” claim to and policies in Kashmir, as well as its mistreatment of the country’s Muslim minority. Unlike Pakistan, Bangladesh adopted a markedly pro-India stance in the immediate aftermath of its formation in 1971. This was largely because India had played a significant role in Bangladesh’s war of liberation against Pakistan. However, this cordial relationship took a hostile turn following allegations that India had selectively aided groups close to the Awami League (AL) in order to serve its own political interests. Many Bangladeshis came to believe that India’s actual aim was to install a pro-India government in Bangladesh that would be subservient to its interests. These suspicions were stimulated by the presence of the Indian army in Bangladesh; the high-handed attitude of the Indian bureaucrats who reminded Bangladeshis of their West Pakistani predecessors; and the Awami League leaders’ ostensible submissiveness to India, among other reasons. India’s failure to appreciate the sensitivities of a society which had just emerged from a long history of colonial exploitation aroused psychological fear among many Bangladeshis. Moreover, India’s administration of Kashmir, liberation of Goa in 1961–1962 via military means, and annexation of Junagadh, Sikkim and Hyderabad were cited as evidence of the perceived threat India posed to Bangladesh, aggravating Bangladeshi suspicion and mistrust. 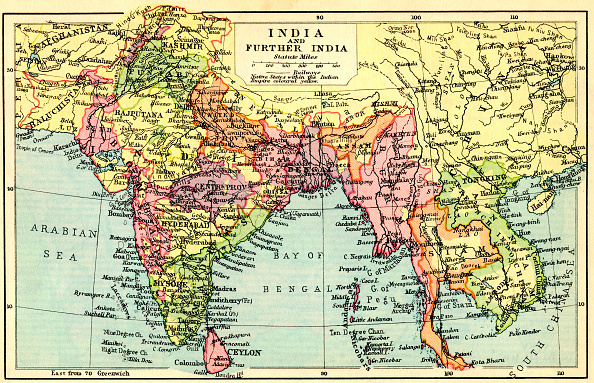 These anti-India sentiments were exacerbated over the years by unresolved disputes regarding the sharing of common river waters; the Chittagong Hill Tracts issue, whereby India harbored and armed dissidents to destabilize Bangladesh; the killing of scores of unarmed Bangladeshis by the Indian Border Security Force; land and maritime border disputes, and bilateral trade imbalances. These issues have been seen by some as a threat to Bangladesh’s territorial integrity and political independence. The core of much of the tension between the two nations can also be attributed to the big country/small country syndrome. Given India’s military power and dominance in the region, and its overwhelming presence on three sides, Bangladesh considers itself more vulnerable to coercion from India. Distrust and suspicion of India has also been fueled by domestic politics in both countries. Following the transition towards democratic governance in Bangladesh in 1991, India’s overt prying into Bangladesh’s domestic politics, particularly when the AL-led government was in power, became an issue. For instance, the perception among many Bangladeshis that India had abetted anti-democratic actions by the AL government during the 2014 elections inflamed anti-India sentiments. Repeated accusations by the Bangladesh Nationalist Party (BNP) led by Khaleda Zia that the AL was selling out Bangladesh to India further fueled such sentiments. In waging its campaign against the Awami League, the BNP played on Indophobic sentiments, depicting the AL’s traditionally cordial relationship with India as detrimental to Bangladesh. This narrative gained further traction when, in 2016, the Hasina regime signed the Rampal Energy project agreement with India regardless of resistance at home due to the project’s possible detrimental environmental impact on the Sundarbans. Resentment towards India also deepened as a result of the frequent references to the issue of illegal migration from Bangladesh made by BJP candidates to advance their own electoral fortunes. Terrorist groups have been exploiting anti-Indian sentiment in Bangladesh. Such groups have painted India’s policies as neo-colonialist attempts by non-Muslims to subjugate Muslims. For instance, Al Qaeda in the Subcontinent (AQIS), in its document “the Code of Conduct,” highlighted India’s influence in “secularizing” Bangladeshi domestic policy as a direct assault on Islam. It also pointed out India’s water-sharing practices as tantamount to depriving the Muslim population of their rights. Similarly, an issue of the AQIS Bengali-language magazine, Al-Balagh (2016) states that “the anti-Islam kafirs (infidels) and their submissive followers, the murtads (apostates) and mushriqs (polytheists), have utilised their financial, cultural and Western values to erase Islam from society.” It also alleges that India’s control on “the taghut government of Bangladesh and on the country’s resources is a part of the war against Islam.” Terrorist groups constantly emphasize Bangladesh’s Muslim identity, exploit anxieties over perceived threats from India to their values and ways of life, and justify their acts as retaliation for perceived attacks against Muslims. Thus, in this sense, we note how India’s interference in Bangladesh’s domestic affairs has furnished opportunities that radical elements have seized upon to garner sympathy and support. This is slightly different from the case of Pakistan, where the Indo-Pakistan conflict, rather than India’s meddling in its adversary’s domestic affairs that extremists and terrorist outfits have sought to capitalize on. However, similar to the case of Pakistan, whose authorities have provided, at minimum, tacit support for select extremist elements, the Bangladesh Nationalist Party has turned a blind eye to groups such as Jamaat–ul Mujahideen Bangladesh (JMB), which eventually trained their sights on Indian as well as Bangladeshi targets. In Bangladesh, these anti-Indian sentiments have given rise to notable terrorists such as Babu Bhai, a madrassa-educated individual who joined the Harkat ul Jihad Bangladesh as its chief bomb specialist with the intention of avenging the demolition of the Babri Masjid. Furthermore, in December 2017, the Neo-JMB released India-centric literature targeting the leadership of Rashtriya Swayamsevak (RSS), the Sangh Parivar and its affiliated organizations such as Durga Vahini and Vishwa Hindu Parishad. In AQIS’ address to Muslims in South Asia, it targeted heads of Hindu right-wing organizations who are alleged to be mistreating minorities. Hatred of the Indian government and Indian Hindus is not a primary driving factor of Jihadist recruitment in India and Pakistan. However, it is undoubtedly a reinforcing mechanism used by extremists and terrorist outfits according to their needs. Given India’s overwhelming presence in South Asia, absent some change in India’s regional hegemonic ambitions and conduct toward its neighbors, as well as marked improvement in its treatment of the country’s Muslims (and other minorities), one can reasonably expect that extremists and terrorist outfits will continue leveraging this behavior for their own perfidious purposes. The authors would like to acknowledge Professor Anit Mukherhjee for providing his comments and Prachi Narang and Juhi Ahuja for reviewing the earlier drafts of this article. This principle was best enshrined in the so-called Indira Doctrine, a loose set of foreign policy norms that Indira Gandhi was credited with whereby she stressed India’s dominance in the Indian Ocean Region and cautioned great powers from entering region without India’s presence. For further details, see: Surjit Mansingh, “Indira Gandhi’s Foreign Policy: Hard Realism” in (eds) David M. Malone, C. Raja Mohan and Srinath Raghavan, Oxford Handbook of Indian Foreign Policy (Oxford University Press: Oxford, 2015). Arijit Mazumdar, “India’s South Asia policy in the twenty-first century: new approach, old strategy,” Contemporary Politics 18, 3 (2012): 286-302. “Operation Cactus: How Indian troops went to Maldives and helped quell a coup,” Times of India, February 7, 2018, accessed June 20, 2018, https://timesofindia.indiatimes.com/world/south-asia/operation-cactus-how-indian-troops-went-to-maldives-and-helped-quell-a-coup/articleshow/62816787.cms. Kamal Dev Bhattaria, “Fresh Turmoil in Nepal-India Relations,” The Diplomat, May 14, 2016, accessed June 20, 2018, https://thediplomat.com/2016/05/fresh-turmoil-in-nepal-india-relations/. Indian aid provided to Nepal is a good example of this. Most Indian aid is seen as attempts to undermine Nepal’s sovereignty. See Monalisa Adhikari, “Politics and perceptions of Indian aid to Nepal,” Strategic Analysis, May 14, 2014. Husain Haqqani, Pakistan: Between Mosque and Military (Washington, DC: Carnegie Endowment, 2010). Niloufer Siddiqui and Christopher Clary, “Voters and Foreign Policy: Evidence from a Conjoint Experiment in Pakistan,” February, 2017, accessed May 5, 2018, http://www.niloufersiddiqui.com/uploads/6/6/2/1/66215631/isa_siddiqui_clary_.pdf. Similar sentiments are also observed in India where news channels often whip up anti-Pakistan sentiments to increase viewership. Stephen Tankel, Storming the World Stage: The Story of Lashkar-e-Taiba. Oxford University Press. 2011. “India a cancer to humanity, will burn to ashes, Lashkar-e-Taiba says in statement,” India Today, June 16, 2017, accessed May 20, 2018, https://www.indiatoday.in/india/story/india-a-cancer-to-humanity-lashkar-e-taiba-says-983177-2017-06-16. “JeM continuing to threaten PM Modi, India at the behest of Pakistan’s ISI,” Business Standard, March 2, 2018, accessed May 19, 2018, https://www.business-standard.com/article/current-affairs/jem-continuing-to-threaten-pm-modi-india-at-the-behest-of-pakistan-s-isi-118030200094_1.html. Ryan Clarke and Stuart Lee, “The PIRA, D-Company, and the Crime-Terror Nexus,” Terrorism and Political Violence 20, 3 (2008): 376 – 395. Surjit Mansingh, “Indira Gandhi’s Foreign Policy: Hard Realism” in (eds) David M. Malone, C. Raja Mohan and Srinath Raghavan, Oxford Handbook of Indian Foreign Policy (Oxford: Oxford University Press, 2015). A.A. Hossain, “Contested National Identity and Political Crisis in Bangladesh: Historical Analysis of the Dynamics of Bangladeshi Society and Politics,” Asian Journal of Political Science 23, 3 (2015): 366-396. Joyeeta Bhattacharjee, “Bangladesh in Modi’s Foreign Policy,” Institute of Asia and Pacific Studies (IAPS), September 21, 2017, accessed March 14, 2018, https://iapsdialogue.org/2017/09/21/bangladesh-in-modis-foreign-policy/. “Code of Conduct: al-Qaeda in the Subcontinent,” As-Sahab Media Subcontinent, (June 2017), accessed March 14, 2018, https://azelin.files.wordpress.com/2017/06/al-qacc84_idah-in-the-indian-subcontinent-22code-of-conduct22-en.pdf. Al-Balagh 1437, Issue 1, Titumir Media, 2016. In Jihadist circles, Taghut refers to Muslim governments who rule by other than laws of God, a vast definition that encompasses democratic, autocratic and monarchical systems of governance.